Are you writing for the garbage can? I heard about an interesting anecdote today that I would like to share with you. Stephen King started out teaching English when he wrote his first manuscript. He didn’t think it was very good and put it in the garbage can where his wife found it. After reading it, she encouraged him to finish it and look for a publisher. 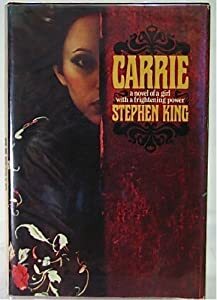 It turned into his first published novel, Carrie, a bestseller which later became a Hollywood movie and a Broadway musical. The first point I’m trying to make is that we are often our own worst critics when we should be our strongest supporters and believe in what we do. If we don’t who will? The second point is that just because one or two people don’t like your book, who says that they’re right? Just like in point one, don’t rely on one person’s opinion. Best selling author James Patterson‘s work was once criticised as “subliterate” by a reviewer from the Washington Post but he had the perfect reply: “Thousands of people don’t like what I do. Fortunately millions do.” Sums it up nicely, doesn’t it? JK Rowling, author of the Harry Potter series was rejected 12 times before Bloomsbury realised what a gem they had in front of them. Chicken Soup for the Soul, the first in a long series of very successful books was rejected 123 times. This goes to show that even many experts don’t always get it right. If you believe in your book, go for it and get your book in front of as many people as possible.